All dogs require exercise and provide great motivation to get off the couch, don our sneakers, and head out into the fresh air and sunshine. 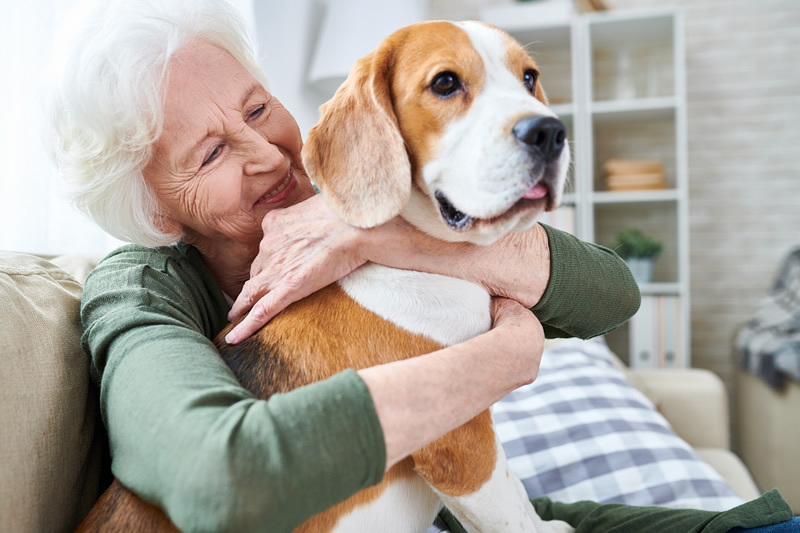 Less active seniors can select a breed requiring less physical activity or an older dog who happy sharing the couch. Adopting an elderly dog provides the added benefit of rescuing him or her from possible euthanasia. Many elderly individuals feel a void in their lives after retirement and once the kids are grown. Dogs are excellent at filling this void as they require similar love, support, and guidance as do children. The best part? They don’t talk back! Dogs shower their owners with unconditional love and affection and are happiest just being around their loved ones. First and foremost, dogs provide us with a sense of connectedness, of belonging, of being needed. For those able to get out and walk, dogs provide a great way to connect with neighbors and other dog owners who are also out walking their canine companions. And dog parks can be great places to meet new people, our pooches providing the perfect conversational ice-breaker. Dogs provide the benefit of providing their owners with an additional layer of security. Most breeds are territorial and will go on “high alert” when a stranger comes knocking. As a result, dogs provide early detection of potential “stranger danger,” giving its owner an opportunity to take protective measures. Even small dogs help – their barking can deter a potential robber.